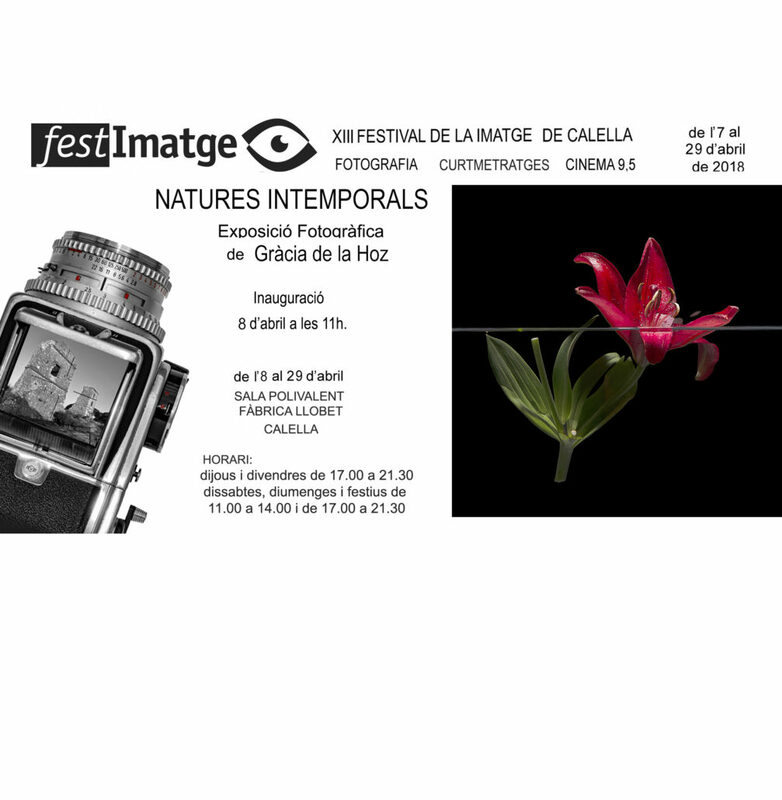 Exhibition “Natures Intemporals” at FESTIMATGE 2018 in Calella – Gracia de la Hoz photography creative and artistic, photographer, Reus, Catalonia. From April 8th to 29th, 2018. Sala Polivalent, Fàbrica Llobet, Calella.